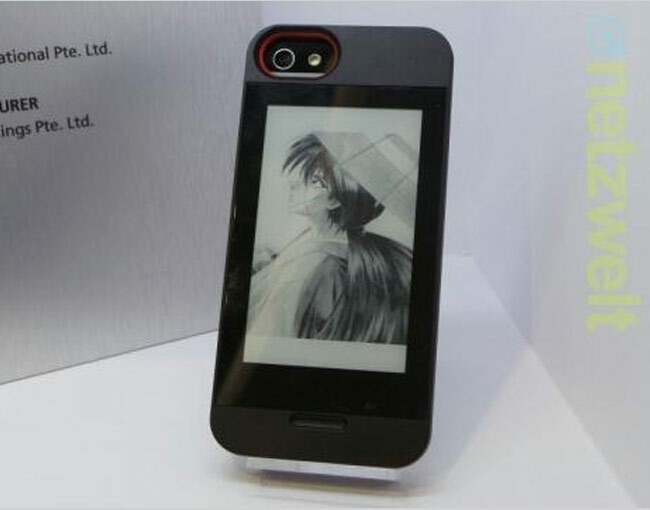 At Computext 2013 this week the new Gajah E Ink iPhone 5 case has been unveiled, bringing competition to the already announced Popslate E Ink case which has yet to make it to market even 6 months after it was first unveiled. The Gajah E Ink iPhone 5 case is fitted with a 3.5-inch, 360 x 600 E Ink screen and supports Bluetooth 4.0 connectivity and is perfect if you are reading e-books in bright sunshine on the iPhone 5. Gajah’s E Ink iPhone 5 case will retail for $99 and is also available for the Galaxy Note II with a 4.3-inch, 600 x 800 screen, Bluetooth 2.1 connectivity and a price tag of $129. The Gajah Galaxy Note II E Ink case will launch first in China and Malaysia followed shortly afterwards by the iPhone 5 case. There is also talk that a Galaxy S4 case is in development but no release date or price has been announced as yet by Gajah.